The idea of "Japanese Quality" is derived from Total Quality Management. 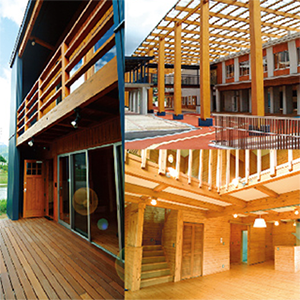 VIETNAM WASHIN CO.,LTD.is a paint maker for wood, group businesses of Washin Chemical Industry Co., Ltd. We produced paint for wooden furniture and wood to use for flooring since the establishment of a business of 1924 as a Japanese top maker. From users, high quality paints and adequate after-sales service are evaluated. In future, we will develop paint of the Japanese quality at a reasonable price in the ASEAN nations. We feel proud to be called like that fre- quently by customers. Wooden furniture, architectural material, and various woods of interior and exterior, for example, an educational facility, a house, or a store. Wood is needed different finish and per- formance according to such various situations. Copyright (c) Washin-Chemical.All Rights Reserved.